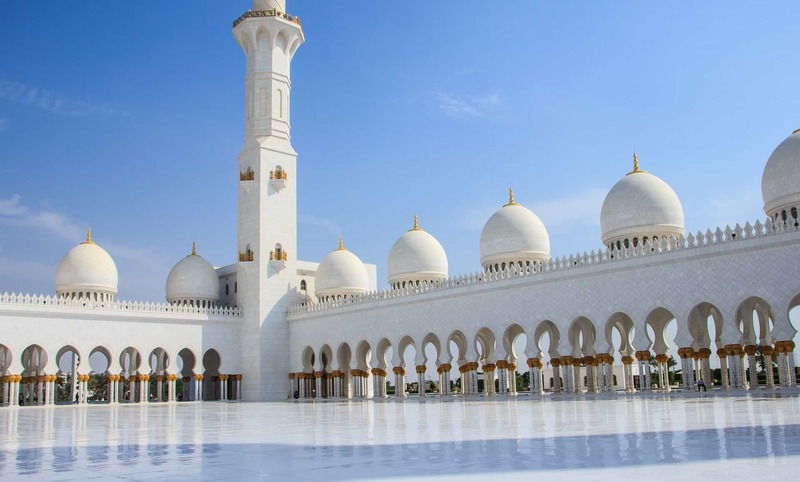 I recently did a guest post for my friend Jen from Jetsetter’s Homestead on mosque etiquettes. She is currently cruising around Indonesia and wanted something that can she can go by. I found it an excellent idea and thought I would share it in this series too. I strongly recommend you check her blog for all the awesome photos she has shared. The first time I entered a mosque I definitely needed some guidance, I was totally lost. I remember actually recently when we were in Bulgaria and my sister asked me to enter the mosque with me. She had never been in a mosque before and didn’t know what to do or how to behave, but was very curious of entering and observing. It took me years back when I first became Muslim, I hadn’t been in a mosque for the first year and I personally didn’t have any experience on what I should be doing. It is all part of the learning process. Any place of worship in my opinion can be intimidating for a visitor who is not familiar with the customs and traditions. Many of the etiquettes of entering a mosque can be applied to any place of worship as they are more about respect and understanding the acts that people do, rather than making any mistake. I think it is very important to respect the place you are entering and understanding that the people who are there to worship, connect with God and let their guards down. The last thing you would want is someone entering and having loud conversations with fellow travellers and in general distracting people who are praying at the time. When you enter a mosque you are required to take off your shoes and place them on the shoe rack. Don’t worry your shoes are safe out there! Muslims pray on the carpets in the mosques which are required to be kept clean, so we really don’t want to bring any dirty soil where people place their heads to pray. I know there is always this misunderstanding about how women especially should be dressed. I remember in a summer holiday when I was a teen I was visiting a monastery and I had to cover with exactly the same long skirt and top as in a mosque. Women should cover with a long sleeve and a long skirt or trousers. A headscarf for women is recommended even if it is loosely wrapped around your head. Some places will let you enter without a headscarf and with a hat but that depends on the country and place you are visiting. For example in Saudi Arabia you are required to wear a headscarf and a black cloth when in the UK you can enter a mosque with a hat or even without a scarf. Men should also be dressed modestly with trousers below the knee and T shirts or shirts. Tank tops and shorts above the knees are not permissible. This is very important if you are in a mosque where there are people praying. It is advisable to leave a bit of space and not walk directly in front of them whilst they are praying. People do not like this as it is hard to keep your concentration and not get distracted. I would advise if you are in a mosque and there is plenty of space just go behind them or about a meter away from them if you have to pass in front of them. The most important thing for me will be to smile to those in the Mosque. Islam encourages people to smile and it is part of the tradition of the Prophet Muhammad (peace be upon him) that he would smile and say Salam (which means Peace) to fellow Muslims and non Muslims. Today not many will smile in the mosques and I find it sad, so I would encourage you to smile while you are there and revive and remind them of a simple yet very important tradition. Last but not least I would recommend you relax and enjoy the time you are in the mosque. If you happen to hear the call for the prayer while you are there, don’t panic but rather enjoy this melodious voice. My sister really liked this part and she thought it was very calming. This is good to know! When I went to Jerusalem several years ago, I was told I could not enter the Blue Mosque because only Muslims can visit it. I’m not sure whether that’s true or not but regardless, I just opted to not enter any mosque to not embarrass myself. I don’t mind visiting from the outside and seeing the beautiful external architecture anyways. Visitors are not allowed in the blue mosque during prayer times, so as not to disturb those performing it. Outside that time they are. The Blue Mosque actually provides headsacrfs and covering to facilitate men and women who are otherwise not dressed appropriately for a mosque. One point to add is in countries where the population aren’t as well off it is worthwhile keeping your shoes secure in a bag (or if the facility is available paying someone to keep it for you). Also be aware of male/female only prayer spaces and not crossing into them.